From Where I am.........Kuala Lumpur: England, the only country leaving Europe twice in a week! 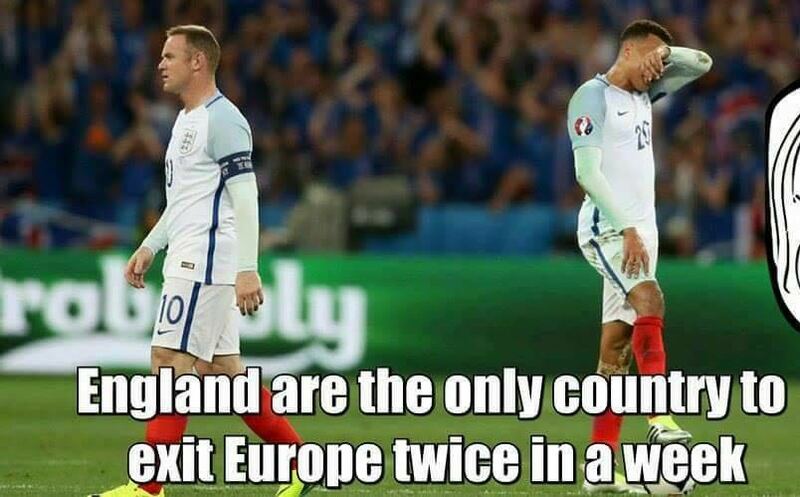 England, the only country leaving Europe twice in a week! 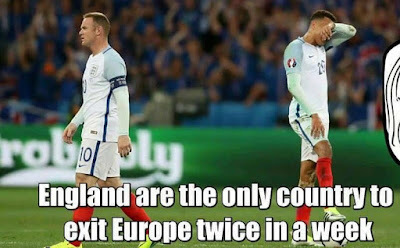 With England leaving Euro six days ago (June 23) and being out of Euro 2016 (football) yesterday, the caption hits the nail on the head, don't you think? *Sad* on both counts. Oh well..